The BNP Paribas Open Garden Party, a free event offering food, activities and live entertainment, will once again serve as the official kick-off to Tennis Season in the Coachella Valley. The second annual Garden Party will be held at The Gardens of El Paseo on Friday, February 1 from 5:30 p.m. – 8:30 p.m., and all fans are welcome to attend. This year’s Garden Party celebrates the beginning of several exciting, tennis-filled months in the area, as well as serving as an official countdown to the 2019 BNP Paribas Open, taking place March 4-17, 2019 at the Indian Wells Tennis Garden. The event will offer attendees a special glimpse into Tennis Paradise and showcase why Tennis Season in the Coachella Valley is an unforgettable experience for any tennis fan. The Garden Party will offer food sampling and beverages, live entertainment, giveaways, as well as table tennis and other family-friendly games. Fans will also have the opportunity to take their photo with the Official BNP Paribas Open Baccarat trophy on-site. DJ “DaCapo” will entertain tennis fans with his musical stylings from 5:30 p.m. – 6:15 p.m., followed by the A-Z Dueling Pianos kicking off at approximately 6:15 p.m. The tournament’s partnership program for local businesses is also returning ahead of the 2019 event. Launched last year, the program provides merchants in the area with the opportunity to get involved in the region’s largest sporting event and share in the excitement of Tennis Season in the Coachella Valley. Businesses in the local community are invited to become preferred partners of the tournament, with special benefits and perks for both the merchants and their patrons. Tennis Season in the Coachella Valley encompasses six different events over the course of more than two months. The BNP Paribas Open Pre-Qualifier, which is free and open to the public, is a four-day amateur tournament held at the Indian Wells Tennis Garden from February 7-10, 2019, with one male and one female participant advancing to the qualifying draw of the BNP Paribas Open. The Oracle Challenger Series returns to Indian Wells from February 25 – March 3. The final stop on the Road to Indian Wells will determine the two male and two female American players who will be granted main draw wild cards in their respective singles main draws at the 2019 BNP Paribas Open. The Tri-Level Championships,now in their 12thyear, pits the 17 USTA sections against each other in an amateur doubles tournament over the final weekend of the BNP Paribas Open, March 14-17. The fifth annual BNP Paribas Open Collegiate Challenge presented by Oraclewill once again be held during Championship Weekend, with eleven of the top NCAA men’s and women’s teams competing in a tournament at the Indian Wells Tennis Garden. Tennis Season will wrap up with the 26thannual BNP Paribas Open Senior Cup, bringing more than 800 senior tennis players from all over the world to compete in a team doubles tournament at the Tennis Gardens from March 18-21. 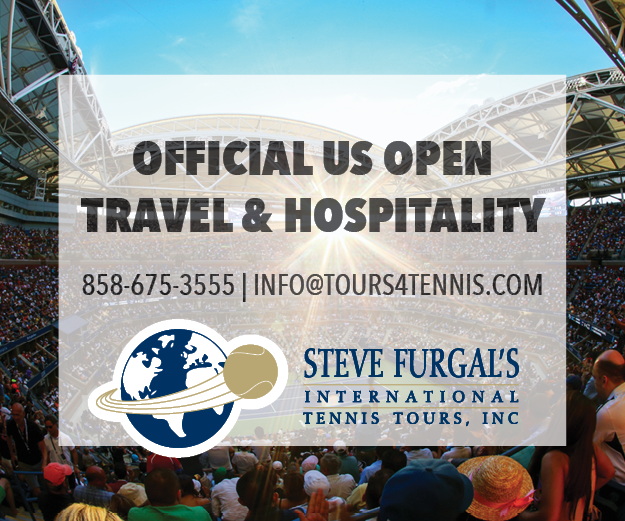 The 2019 BNP Paribas Open will showcase why the tournament has become known throughout the tennis community as “Tennis Paradise” – a reflection of the stunning natural beauty and backdrop of the desert landscape, highlighted by the world-class tennis players that participate in the renowned global event. The Indian Wells Tennis Garden will once again be in “Full Bloom” for the largest WTA and ATP Tour combined two-week event in the world. PreviousWhat Makes the Indian Wells Tennis Garden a Tennis Paradise?